It is getting more and more difficult to make ends meet these days. Between the ever-complicated economy and the growing number of folks in the pool competing for the jobs that you’re trying to go for, the issues of unemployment are potentially very real. You’ve got to get real creative when it comes to landing that perfect occupation these days… one that will both help out with the bills at home but also offer you a chance for self improvement, reflection, and something that can satisfy your need for creative outlets… but fortunately the world is filled with countless opportunities! Well, countless might be an overstatement. Obviously for the perfect career stepping stone, there is going to be some degree of counting involved. You remember learning in even elementary school that you were going to need your basic math skills for the future. Your teachers weren’t lying, even if some of those potential careers involved counting coins. It might not be the most complicated of mathematics, but as you get really skillful, some of those numbers can climb really high. It might be best to start out small and see if the life of the burglar is right for you. We can help you get your foot in the door and your hands in the cookie jar with this Burglar costume. 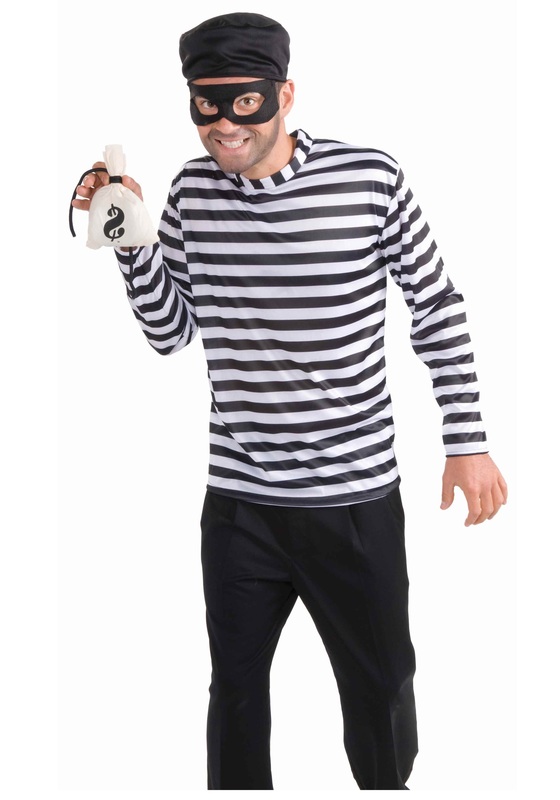 The polyester black and white striped shirt has the iconic look of the sneak-thief (or for the prisoner, if you end up doing so well and get caught by the bloke in the Cop costume). 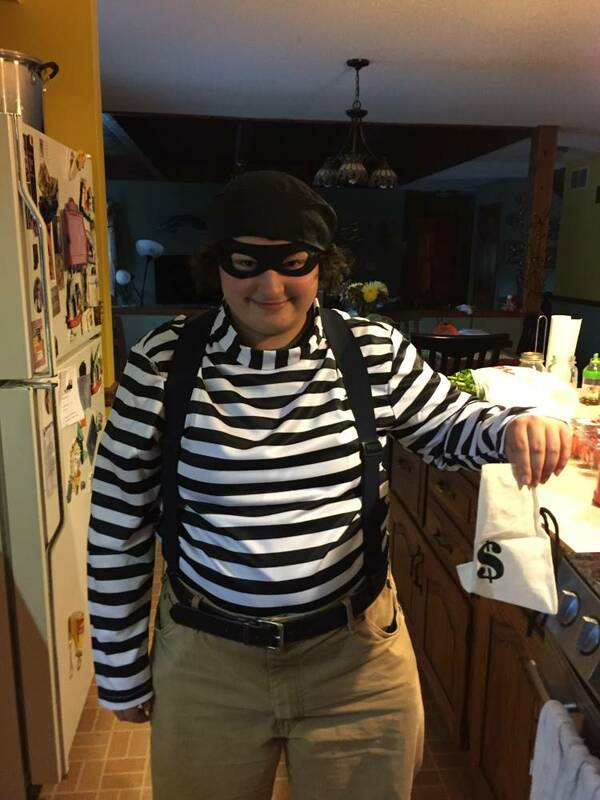 The black eyes mask with elastic band will ensure your identity is very slightly concealed and the included tiny money bag and black hat will not only finish the look but give you a head start with your first successful palm-sized theft! Fare well, thief, and remember not to let your eyes get too big!